We will treat every jar of Tenteram Fine Foods product as if we were cooking it for ourselves and friends. We hope that you love our products as much as we enjoy making them. Beef rendang's a real crowd-pleaser - a deliciously deep yet mild curry for those who can't generally handle curry. Beef rendang is an Indonesian curry traditionally made with beef, but our paste is incredible with chicken, lamb shanks or vegetables. A delectable rendang beef curry will be devoured by guests. Also, makes a mild curry. If you would like it spicier, add fresh chilli when simmering the paste at the begining of the recipe. We tend to make up 2kg of beef rendang and freeze separate meals. 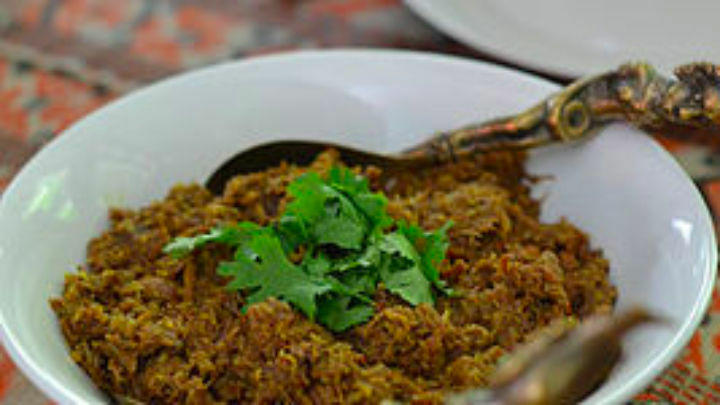 Marinate beef in shredded coconut and tamarind paste for two hours before cooking. Add oil to a pot and when hot, add rendang paste and simmer until fragrant. Add diced beef and brown. Add 1.5 cans of coconut milk. Bring to the boil and then simmer. Cook at low heat for at least two hours, or until beef begins to fall apart and sauce thickens. Add 3 Tbsp of kecap manis and stir through. 7. Serve with steamed rice and fresh coriander. Tip: If using a slow cooker, you may want to reduce the amount of coconut milk to 1 can per kilo of beef.